One of the older suburbs of Sarasota, South Gate was founded in the 1960s. 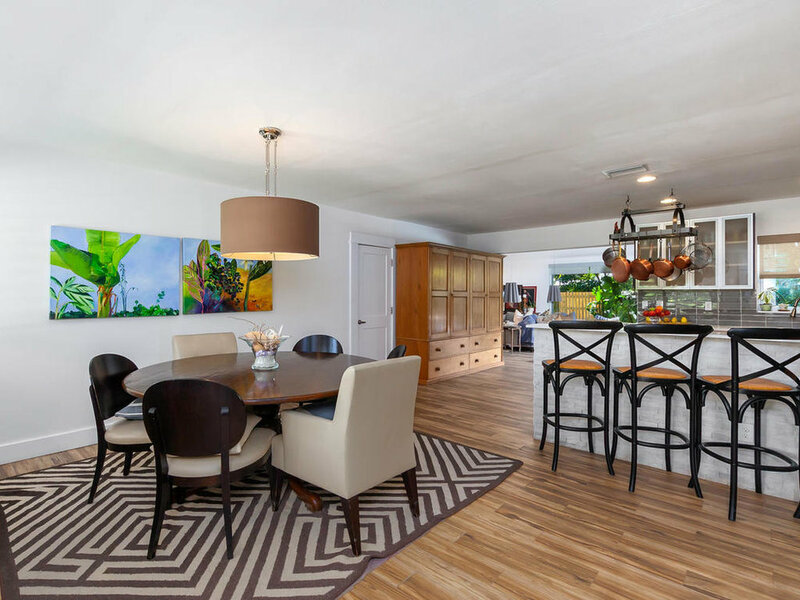 The retro style of the homes as well as the fact that it is extremely well-maintained for an older neighborhood attract buyers from all corners of the globe, and its close proximity to beaches and downtown make it a desirable place to live for many Sarasotans. Covering over 2 square miles now, the neighborhood has grown and expanded over its 50+ years. Bordered by Tamiami Trail to the west, Arlington Park to the north, Beneva Road to the east, and Bee Ridge to the south, one can quickly note the easy access to downtown and a plethora of shops, restaurants, and other amenities. Nestled in the tucks and turns of Phillippi Creek, many homes in South Gate sit on the water, either on a small tributary or on the Creek itself, which has access to the open waters of Sarasota Bay. If you are seeking to escape the cookie-cutter feel of pre-fab new construction, and you appreciate the subtlety and character of a neighborhood aged like fine wine, then I believe you’ll find that South Gate fits the bill. South Gate is governed by an optional HOA, which provides enough funds to maintain the beautiful Sarasota School of Architecture building, the South Gate Community Center, which was designed by architect Victor Lundy. 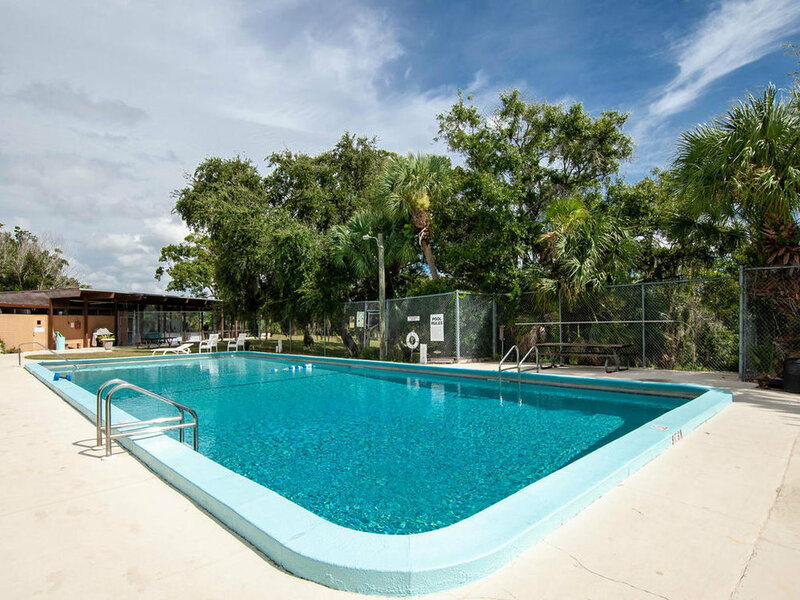 Located right in the heart of South Gate on the traffic circle at Siesta Drive, the community center offers a beautiful community pool, available to all residents for a minimal fee, as well as a serene space for parties, weddings, and other social gatherings. The historic mid-century building’s glass walls allow beautiful Phillippi Creek to be the background to any event. The South Gate Community Center has been a staple of this cozy community since its opening on September 2, 1955 and has been designated as historic by Sarasota County. A renovation worthy of the pages of Home & Design magazine coupled with an ideal minutes-from-everything central location makes this your ideal new home! The exterior curb appeal of of floating white pavers in a sea of green grass and lush landscaping is just a hint at what is to come. Enter the glass-paned front door with plantation shutters into a completely updated open-concept interior for modern living. A wide dining space opens to a thoroughly updated kitchen with quartz counters, stone features, shining sleek glass subway tile, frosted glass feature cabinetry, and an oversized four-door refrigerator. Custom built-ins provide room for storage or display. 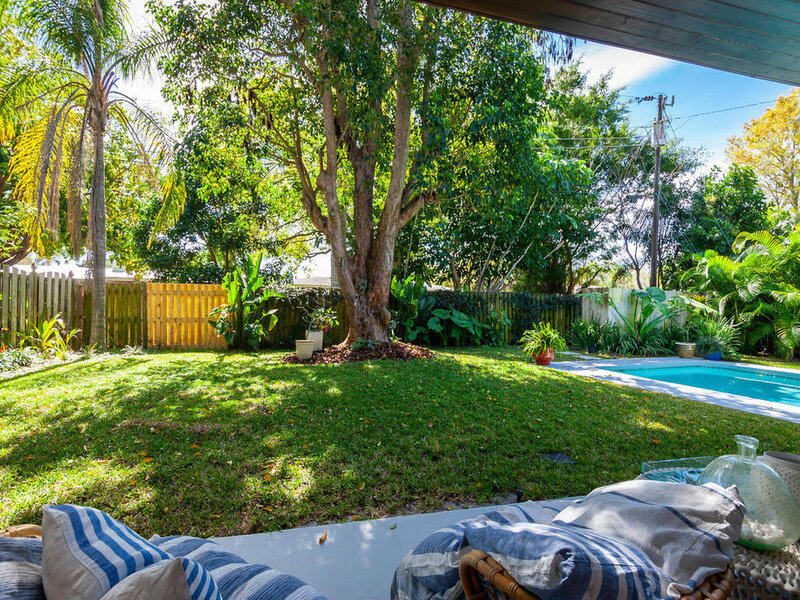 The top-to-bottom renovation, which brings the effective age of the home to 2016, included the addition of a large open living area with high ceilings and 10 ft pocketing sliders that open two sides of the room to a tropical fenced-in backyard, complete with a tailored pool set in large, grass-trimmed pavers. Plenty of covered space and a full-sun deck makes for great entertaining. A shiplap feature wall adds a modern coastal flare to the living room, which benefits from abundant natural light and beautiful exterior views from the sliders. 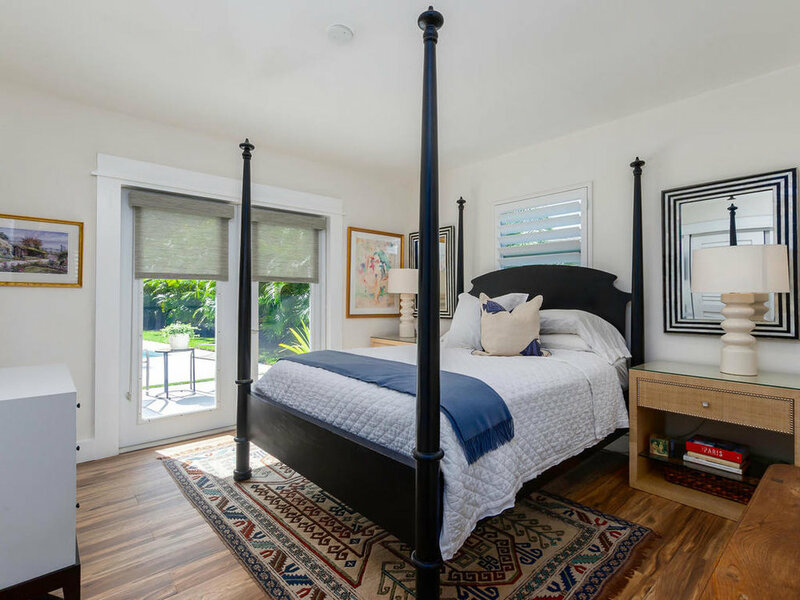 The master suite has its own personal entrance to the backyard, as well as an updated master bath that feels like a chic hotel. Located in South Gate, this home is centrally-located and in an A-rated school district.